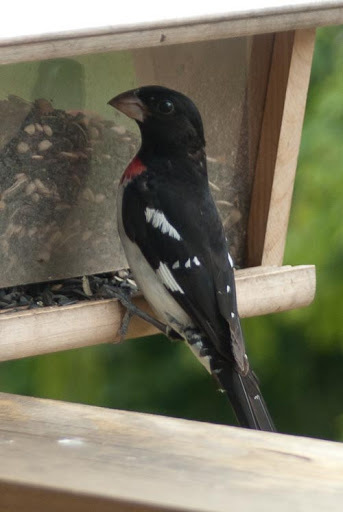 Not the best of pictures, but I managed to snap a picture of the visiting rose breasted grosbeak. It's a first time sighting of this type of bird for me. Growing up, I used to see plenty of evening grosbeaks but no other types. thanks this is nice pic!